For the last two and a half years I have been part of a mail tracking program. 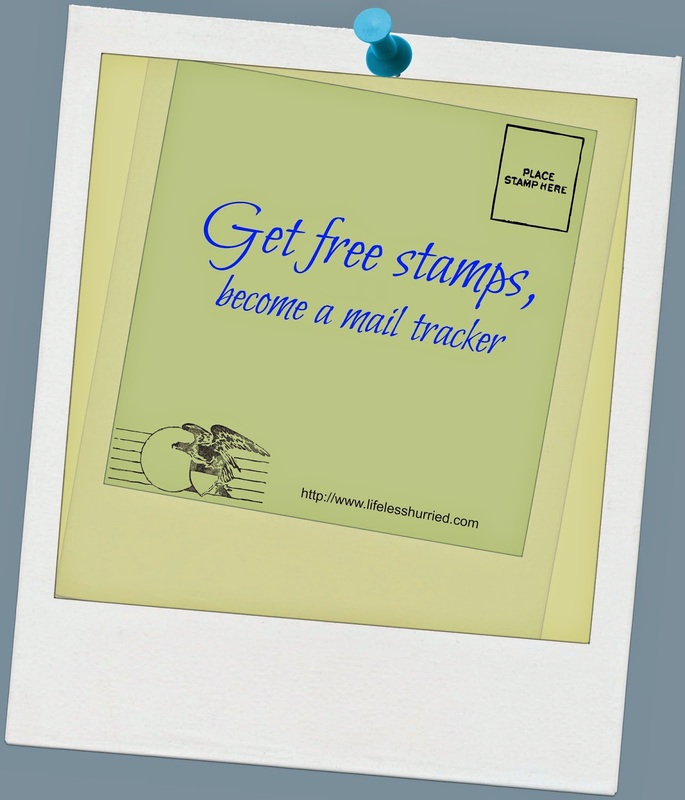 It has been a simple way to get stamps for free. As part of this volunteer program I help them track how long it takes the mail to arrive. They send me 10 stamps each month as a thank you for helping them. It has been a blessing to our family. It is fairly simple work. When the mail comes you take a few moments and make a phone call to the 800 number to report on the publications came that day. Usually it takes less than two minutes to call in and report. Once you have reported you can do whatever you desire with the magazines, catalogs, and flyers. Our children have loved some of the children's magazines that come to us through this program. They read them for a while and then we send the magazines to our local Elementary School for classroom use. The teachers have been appreciative of our donation to the classroom. The majority of the mail that comes to us through this program goes to the recycle bin that supports our local community. The company is in need of people all across the country. If you would like to find out if there is a need in your particular area you can e-mail me kookykeck @ yahoo (dot) com and I will get you in touch with the company. Sounds interesting! Thanks for sharing on this week's link up. Hmmm...this would have been great a few years ago when I mailed our bills by snailmail. Now, I hardly ever use a stamp!! Really interesting idea.